CONSISTENT QUALITY - Manufacturing process produces a uniform material, resulting in consistent pad performance ... unlike performance reducing variances that can occur with natural sheepskin pads. MINIMAL LINTING - Foaming process locks in the lambs wool fibers, significantly reducing linting. APPEARANCE - Distinctive color for easy identification. 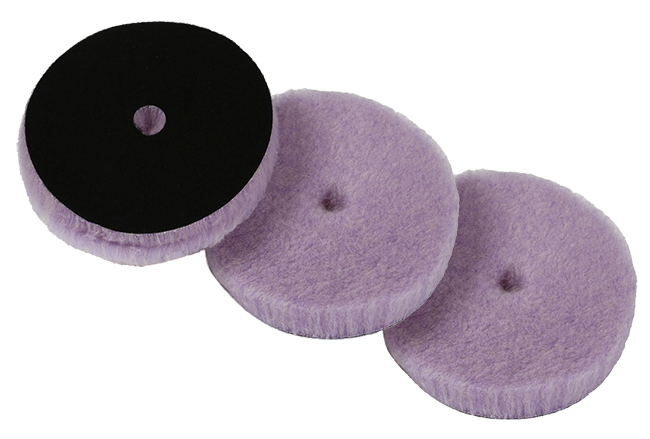 Pack is for three 6.5" in diameter x 1" thick pads.